260XL037 Timing Belt. Neoprene 260XL-037 Timing belt. Home > Timing Belts MXL-XL-L-H... > XL Timing Belts. Trapezoidal Tooth Gear belts - 0.200" Pitch > 260XL037 Timing Belt. Industrial Grade. 260XL037 Timing Belt. Synchro-Link Timing belt. 260XL037 Belt. INDUSTRIAL GRADE TIMING BELT. 26” Length OC (660mm). 130 teeth. 3/8" (.375 inch) Wide. 1/5” (.200”) Tooth Pitch. Replacement “XL Series” Timing Belt. 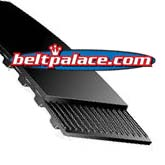 Popular replacement belt for power tools such as belt sanders, office machines, water pumps, and robotic equipment. Pump Motor Belt 260XL, 3/8" Wide. Challenge 305 Paper Cutter belt (select Models/Serial#'s only). Timing belt for Takisawa TC-2 CNC Lathe. Select serials, see number on belt. 260XL025 Polyurethane Timing belt. 260XL-025U Timing belt. Bando 260XL025U Timing Belt. 26.0” Length, 130 teeth, 1/4” Wide. 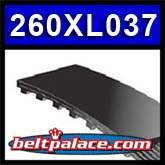 Polyurethane 260XL-025 Timing belt 260XL-025.